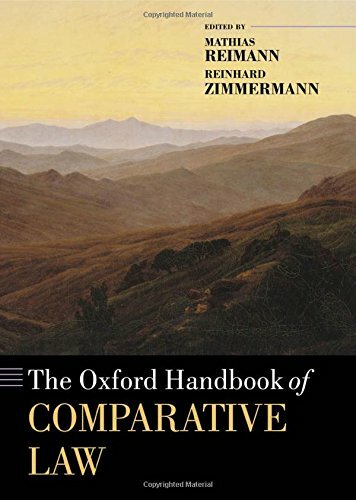 The Oxford Handbook of Comparative Law provides a wide-ranging and highly diverse survey as well as a critical assessment of comparative law at the beginning of the twenty-first century. It summarizes and evaluates a discipline that is time-honoured but not easily understood in all its dimensions. In the current era of globalization, this discipline is more relevant than ever, both on the academic and on the practical level. The Handbook is divided into three main sections. Section I surveys how comparative law has developed and where it stands today in various parts of the world. This includes not only traditional model jurisdictions, such as France, Germany, and the United States, but also other regions like Eastern Europe, East Asia, and Latin America. 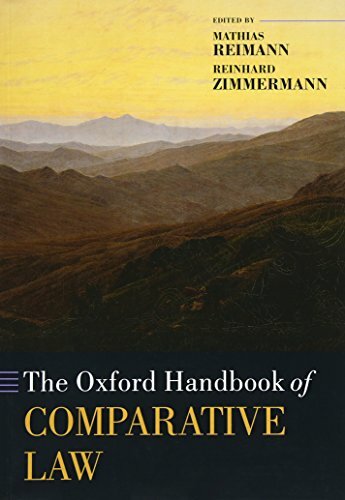 Section II then discusses the major approaches to comparative law - its methods, goals, and its relationship with other fields, such as legal history, economics, and linguistics. Finally, section III deals with the status of comparative studies in over a dozen subject matter areas, including the major categories of private, economic, public, and criminal law. The Handbook contains forty eight chapters which are written by experts from around the world. The aim of each chapter is to provide an accessible, original, and critical account of the current state of comparative law in its respective area which will help to shape the agenda in the years to come. Each chapter also includes a short bibliography referencing the definitive works in the field. Reinhard Zimmerman: Born 10 October 1952 in Hamburg. Study of law University of Hamburg, First (1976) and Second State Examinations (1979), doctor of laws (Hamburg, 1978); Chair of Roman and Comparative Law, University of Cape Town (1981 - 1988), Chair of Private Law, Roman Law and Comparative Legal History, University of Regensburg (from 1988), Honorary Professor, University of Cape Town (from 1998), Visiting Professor, Universities of Edinburgh, Stellenbosch, New Orleans, Chicago, Berkeley, Yale; A.L. Goodhart Professor of Legal Science, University of Cambridge (1998/99); Member and Director at the Max-Planck-Institute of Comparative Private Law and Private International Law (from 2002). Mathias Reimann: Born 8 April 1955. Study of law at the University of Freiburg. First (1978) and Second (1981) State Examinations; Dr. iur.utr. (Freiburg 1982); LL.M. University of Michigan (1983). Professor of Law, University of Michigan Law School since 1985; Jean Monnet Fellow, European University Institute 1988-89; Chair for Civil Law, Comparative Law and Legal History, University of Trier (Germany) 1995-1999; Hessel E. Yntema Chair, University of Michigan since 2000. Visiting professorships at the Universities of Frankfurt, Freiburg, Paris I (Sorbonne), Tokyo, Bucerius Law School (Hamburg), and Scuola Superiore St. Anna (Pisa); member of the American Society of Comparative Law and of the American Society of International Law.